If you are planning on having a party or camping out over the holidays, you might want to decorate with Christmas lights to make the party or gathering a little more festive. Even in places where there is no regular source of electricity it is fairly simple to power up some lights. 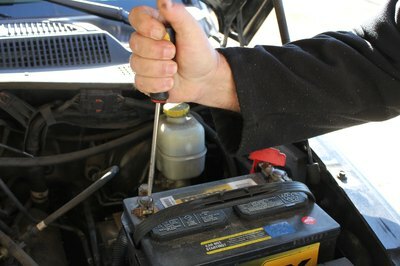 You just need to be careful and know your way around a car battery. 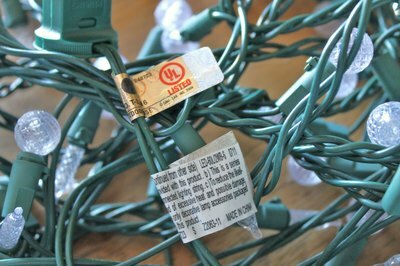 Purchase a strand of LED Christmas lights rather than incandescent. The lights will last longer and use less battery power. Also, they are already wired for DC (battery) power as well as AC (outlet) power. Look at the base of the bulb closest to the end of the strand. There is a ridge that is almost a complete circle--where the circle opens up is lined up with the negative wire. Note which wire is which. 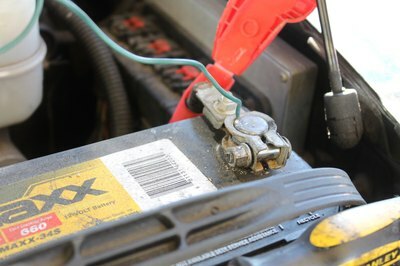 Disconnect your car battery before you attempt to connect the light's wires. Do this by disconnecting the negative wire--unscrew the screw holding the wire down--and then laying the wire where it is not touching anything made of metal. Using the wire strippers, take off the plastic or rubber covering at the end of the wires so you can easily attach the wires to the battery. 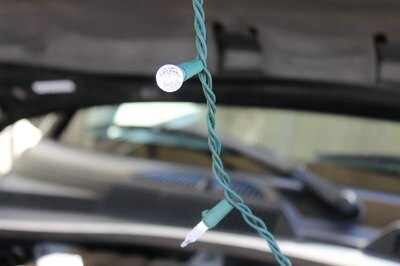 Unscrew the positive terminal on the car battery and attach the positive side of the LED light wire. 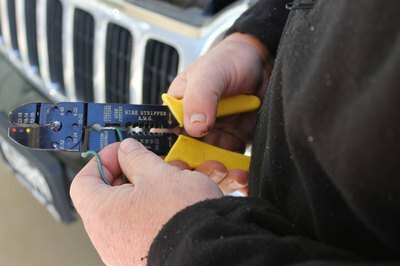 Tighten the screw after making sure both the car wire and the light wire are attached well. Attach the negative side of the LED light to the negative side, and then bring the negative battery wire back to its original position. Make sure both are connected well, and tighten the screw. 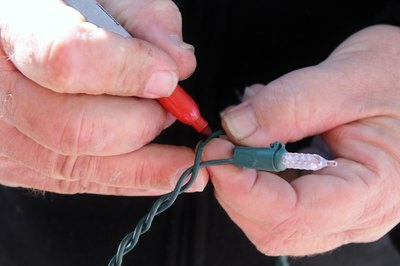 This will reconnect your car battery as well as connect your Christmas lights. When you turn the car on, the LED lights should turn on, as well. Always be careful when working with electrical components and power supplies. This is a fairly basic process -- not much harder than using jumper cables but, if not done correctly, you run the risk of possibly hurting yourself.